Music Times, LLC was formed in New York on January 30, 2013. It was originally called "Music Connects, LLC," and it switched to its current name on July 1, 2013. The DOS Process address is 305 Broadway, 7th Floor, New York, NY, 10007. There are three Labor Condition Application forms on MyVisaJobs.com that were filed by Music Times, LLC. The "Managing Director" is listed as Xiaoli Huang, and the "Place of Employment" is listed as 33 Whitehall Street, Fl 9. I didn't find anything on the main MusicTimes.com website to indicate whether the company is connected with IBTimes and Newsweek. That being said, the articles on MusicTimes.com are embedded with videos from Newsweek Media Group. Also, MusicTimes.com used a specific Google Analytics Tag from November, 2016 to September, 2017, and the same tag was used by others sites I've previously profiled, including HNGN.com, TechTimes.com and SportsWorldNews.com. 1. Classicalite.com -- A news site about the classical arts. No updates since December 31, 2016. 2. GetAClass.com -- Offline. No archives available. 3. Hallels.com -- Recently updated. 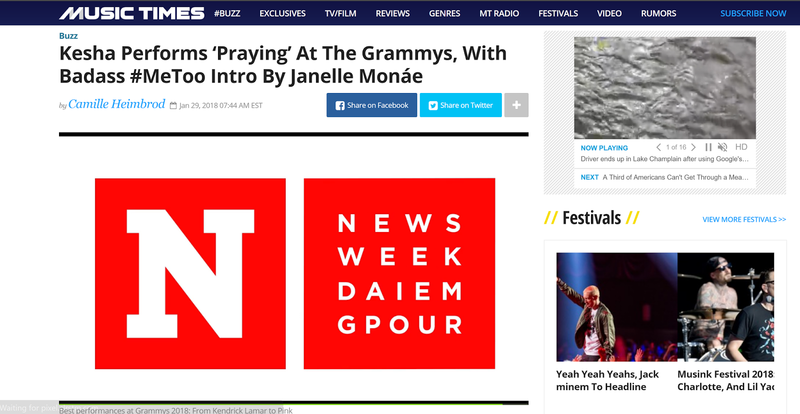 The "About" page says "Hallels.com is a news website focusing on general entertainment, but especially with a niche in Christian music and Christian entertainment news." The "Contact" page lists the address 141 Belle Forest Circle, Nashville, TN 37221. The domain is currently registered with the e-mail address "domain@oikosnetworks.com." "MStarsNews.com covers celebrities who use the spotlight to spread social good." 5. MusicConnects.com -- Defunct site. It used to redirect to MusicTimesCo.com. 305 Broadway 14th Floor." The Music Times Facebook page has 35,000 followers. 7. MusicTimesCo.com -- Contains information about the different websites that make up Music Times Co.
8. TheClassicalArts.com -- A news website focusing on the visual and literary arts. No updates since April, 2017. 9. MstarsNews.com -- Redirects to MstarsNews.MusicTimes.com. This subdomain has no updates since October, 2017.